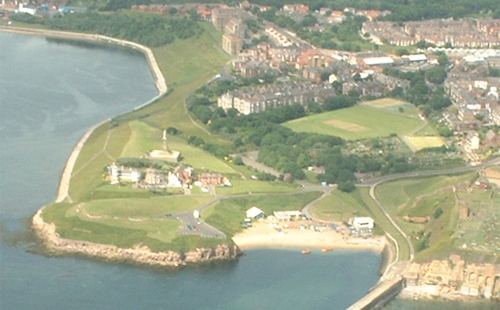 Located in the centre of Tynemouth, the ground is actually Kings School playing field. Grass wicket, only reliable for it's guaranteed unreliability, with the less than even outfield one would expect from two rugby pitches! 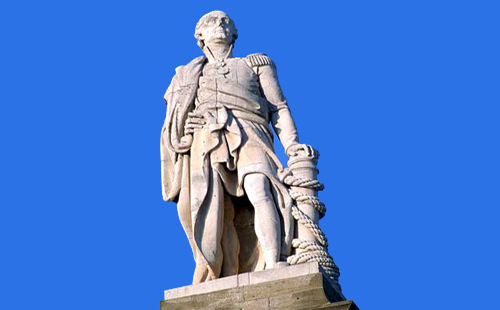 The southern end is overlooked by the imposing statue of Admiral Lord Collingwood (situated above the mouth of the Tyne) and to the east there are superb views of Tynemouth Castle and Priory. 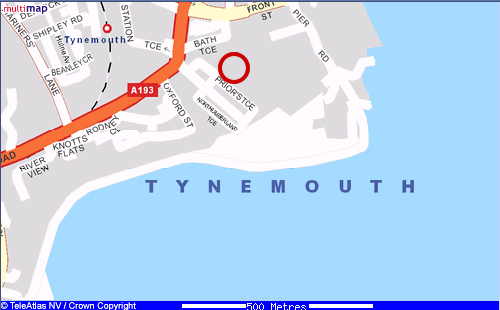 Approaching from North Shields - along Tynemouth Rd towards Tynemouth turn right into Tynemouth Terrace. At T Junction turn left, ground is immediately ahead next to tennis courts. Park on the street. Small changing room, Toilets. On-street parking, or some also available on Front Street (2 mins walk from ground). 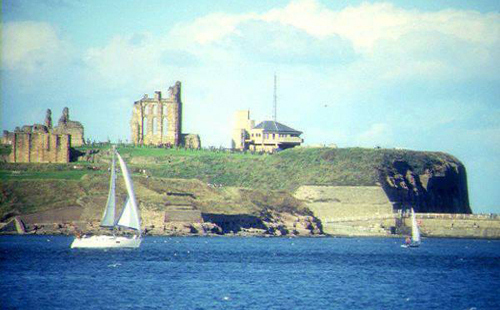 Tynemouth Castle & Priory, King Edward's Bay and Longsands beaches, walks along the sea front, pier, beaches and from North Shields Fish Quay along the river to the castle.